TubeMogul (NASDAQ: TUBE) announced the launch of Ad Swap to help marketers better isolate causality in advertising measurement. “Ad Swap gets us back to leveraging the scientific method for ROI measurement without the operational burden or cost normally associated with creating real experiments,” says Brett Wilson CEO and co-founder of TubeMogul. Several clients tested and advised the early direction of the product, including Hotels.com, Empower MediaMarketing and Haworth Marketing + Media. Ad Swap is available globally for free. “With this product, TubeMogul is beginning to answer one of the toughest incrementality questions in advertising measurement: how do you separate those who were already going to buy your product from those that did attributable to ad exposure?” comments Curtis Larkin, Digital Director at Haworth Marketing + Media. With no additional setup, Ad Swap enables marketers to have always-on experiments measuring lift in viewers that saw their ads versus an identical control group that did not. The product is available free to clients, who simply check a box to opt-in. 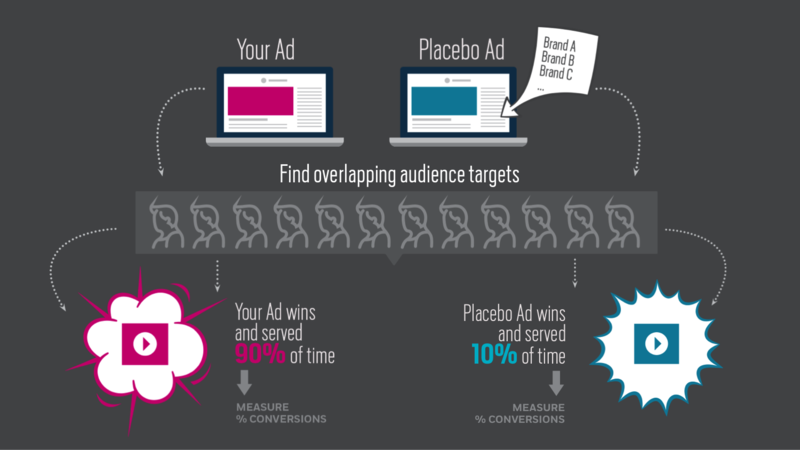 The product’s methodology is simple: for campaigns enrolled in Ad Swap, TubeMogul software automatically serves “placebo” ads to a randomized population, with all other variables like audience targeting and site placement identical. Placebos are plucked from other campaigns running on TubeMogul’s software. For instance, a cosmetics brand might be targeting females age 18 to 34 on a specific site at the same time as a car brand, so the two ads can serve as control groups for each other. As a result, the product is free and clients do not pay for the media cost of placebo ads. Once ads are swapped, results are measured for both the control and exposed groups to eliminate the influence of in-market bias. By isolating causality, advertisers can determine which sales were the direct result of their advertising and which were going to occur naturally. TubeMogul then offers a variety of ways to track conversions and offline sales. In addition to existing conversion tracking and partnerships with data platforms, TubeMogul can also hold third-party pixels from leading data management platforms and offline sales data providers. TubeMogul (NASDAQ: TUBE) is a leader in software for brand advertising. By reducing complexity, improving transparency and leveraging real-time data, our platform enables advertisers to gain greater control of their global advertising spend and achieve their brand advertising objectives. TubeMogul was incorporated in 2007 and is headquartered in Emeryville, California and has offices in several other locations in the U.S. and internationally, including in Chengdu, Kyiv, London, Paris, Sao Paulo, Shanghai, Singapore, Sydney and Tokyo.